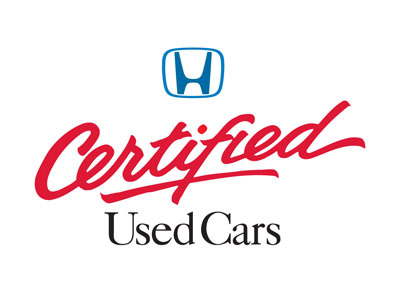 Our Honda Certified Pre-Owned Car Flags feature a brilliant white background with the historical Honda Certified Pre-Owned logo emblazoned upon it in blue, red, and black. 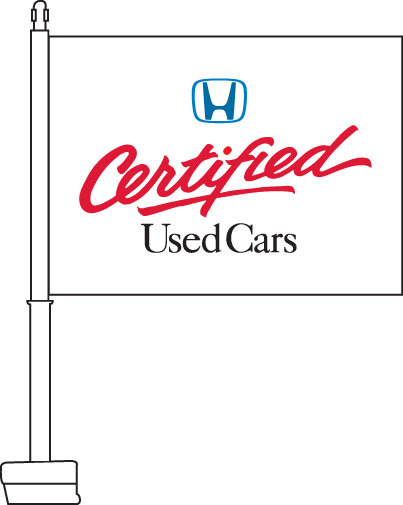 This flag is ideal for any franchise Honda dealership that is looking to promote their certified pre-owned cars. The flag can be used to highlight a specific vehicle or to decorate an entire lot of certified Hondas. 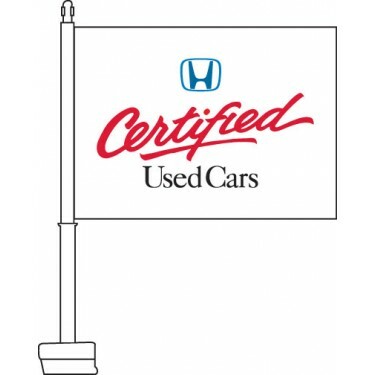 If you sell certified pre-owned Hondas, then this is the ideal flag to attract customers to your business.